We were greeted off our flight from Aberdeen by a nice BA employee who rushed us through flight connections like rockstars. Much to the annoyance of everyone else standing idly in the queue. Then we spotted Welsh funny man Rhod Gilbert at the gate for our flight and I managed to resist the temptation (especially when he stood beside me at baggage reclaim in Nice) to try to say something funny to him. Of course we should have realised that if there was barely enough time for us to get to the connecting flight they’d also struggle with the luggage. Mine arrived in France 4 hours after we did. The old town in Nice is where we spent most of our evenings and large parts of our days too. A warren of medieval streets; it’s full of restaurants, cafes, shops and bars. 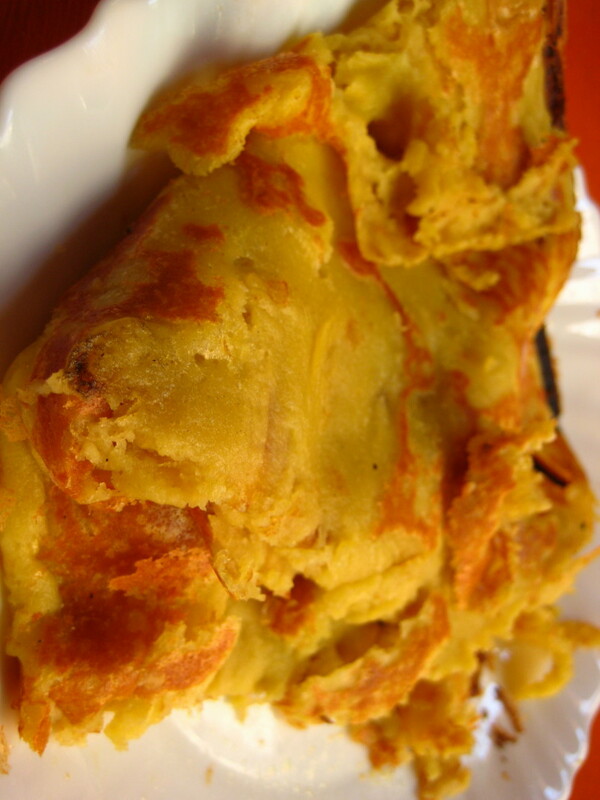 This is the best place to come to sample Provencal specialties like socca. 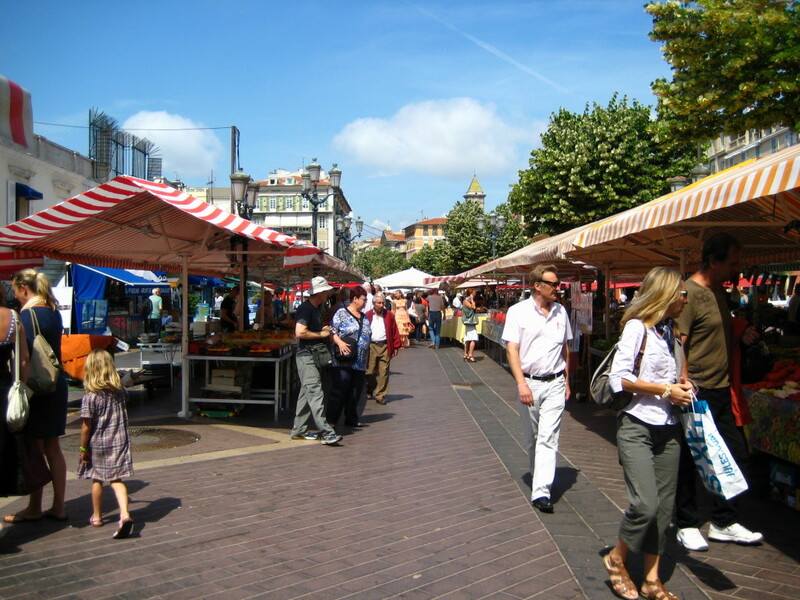 The old town is also where the Cours Saleya market is held. This daily market (food for most of the week then antiques on Mondays) is fantastic! I wandered through it in a daze. I became mesmerised by the amazingly vibrant colours of the fruit, meat and flowers. All the time we were there I kept wondering why we don’t have markets like this anymore. A farmers market once a month is OK but this was on another level entirely. 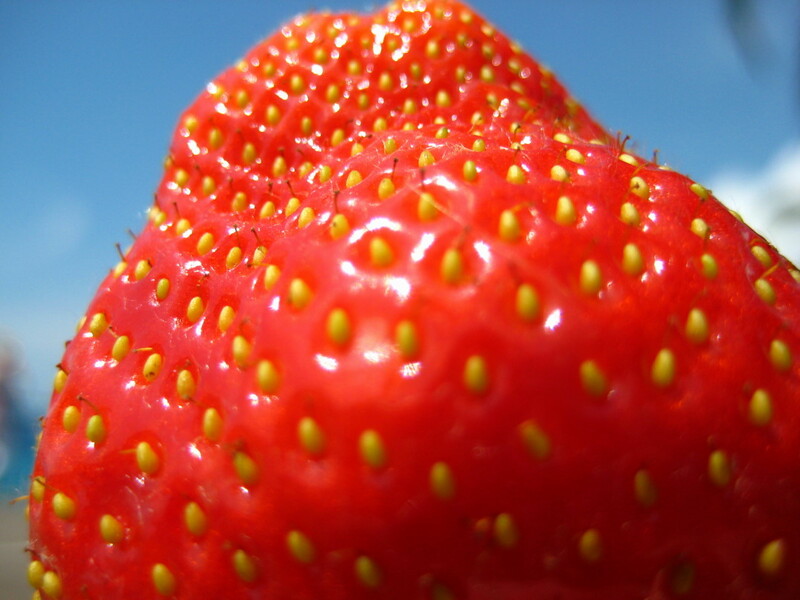 We bought a pack of large red strawberries to munch on while we explored the old town. They were just the thing for sitting in the sun on the Promenade de Anglais overlooking the Mediterranean Sea. On our second night (we arrived on the Tuesday evening) we went down to Vieux Nice to try one of the many restaurants there. We have a problem when we’re in an unfamiliar place and looking for somewhere to eat. That problem is indecision. We walked round for about an hour trying to decide where to go before eventually plumping for a small restaurant in the middle of the old town. The restaurant was a small room with only four or five tables inside and the same outside. There was just two front of house staff and the combination of size and staffing made for a very relaxed atmosphere. Service was excellent, the wine was good and the main courses were sublime. This was our first proper introduction to Provencal cooking – the essence of which is take a classic french dish and serve it with pasta. 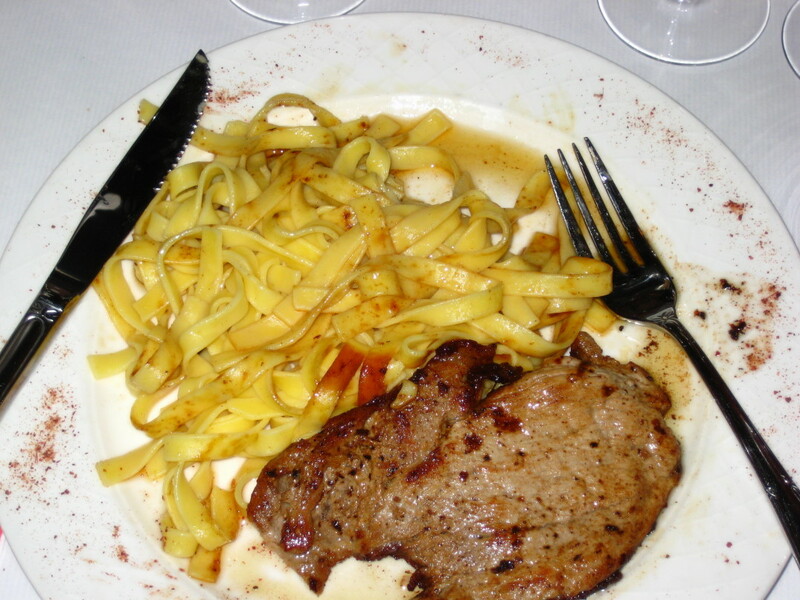 I ordered the veal escalope with a lemon butter sauce served on tagliatelle. Angela went for poached scallops with mushroom ravioli. Both were absolutely sublime but I think Angela won. She doesn’t even like mushrooms most of the time but loved the little raviolis. The scallops poached in the cream sauce were lovely as well – sweet and tender. My veal was perfectly cooking with excellent colour on either side and loads of flavour. The sauce could have had a bit more lemon tang in it but otherwise it was superb. We ended the night drinking cherry beer and whisky in a cool looking bar called Distilleries Ideales (about the only place I found with a decent range of whisky at a reasonable price). This ended up being a regular haunt for us through the week and I would heartily recommend a visit if you’re in the area. After grabbing a very unhealthy breakfast in a nearby pattisserie on our 2nd morning we boarded the train to Monaco. 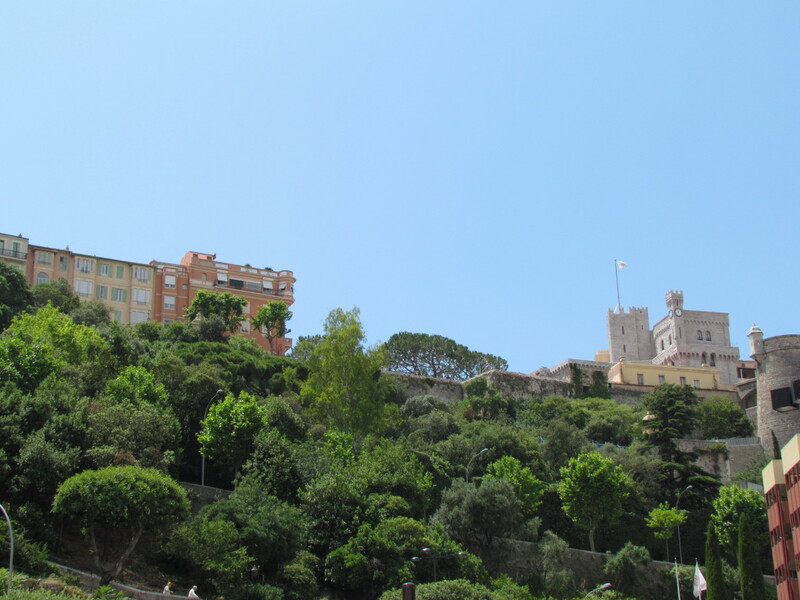 The principality is just a twenty-minute train ride from Nice and it was the week after the Formula 1 Grand Prix. As both of us are F1 fans we’d planned this as one of the highlights of the week and I couldn’t wait to get there. We arrived at pretty much the longest train platform I’ve ever seen (it practically spans the entire city) and emerged into a very foreboding view of dark grey clouds looming over the Monaco hills. Not good. Still we were here now so off we popped for some site seeing. 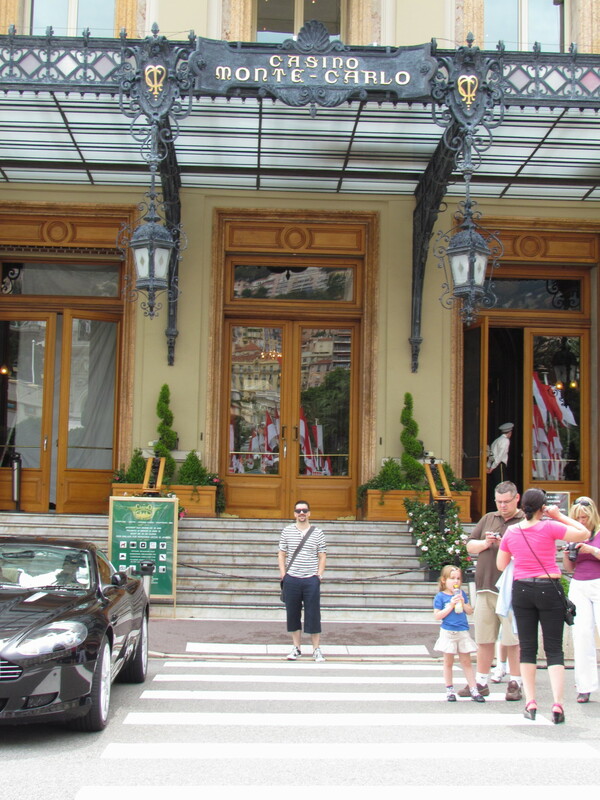 The casino at Monte Carlo was very nice but as I stood on the steps waiting for Angela to take my picture it seemed that the whole of Monaco had the same idea. In the end I struggled to hold a straight face as picture after picture was ruined by cars or families of my fellow tourists standing between me and the camera. We abandoned the photo opportunity and joined the F1 circuit heading down the hill towards St Devote. TV pictures really don’t put across how steep that hill is and it’s astonishing how fast F1 cars manage to get up it. By the time we got down to the start/finish line the clouds had buggered off and we were starting to melt. Time for lunch. At this point I started getting a little worried as the scare stories of how expensive food is in Monaco entered my head. 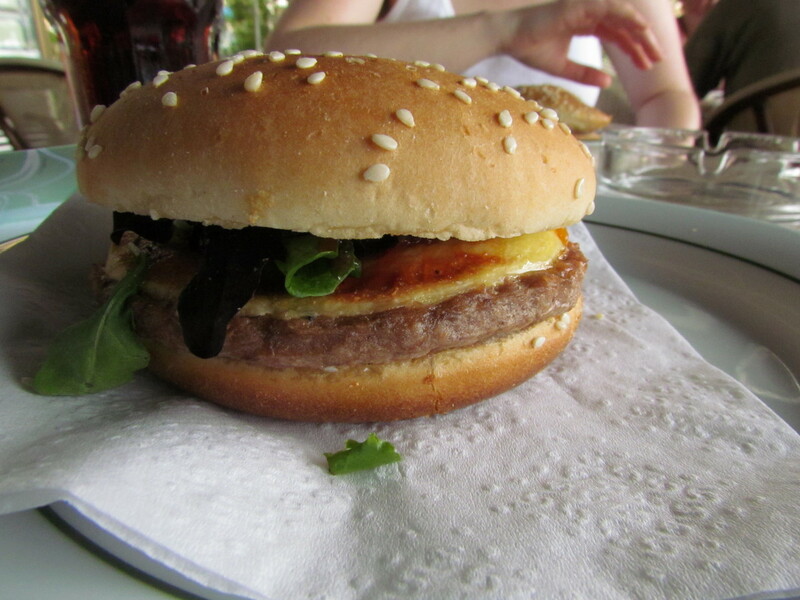 However right beside the start/finish line we found a small bar serving burgers, baguettes and croque monsieur. Five euros for a cheeseburger didn’t seem too bad for Monaco and we grabbed a seat; hugely enjoying the view over the marina as we at them. Unfortunately the catch turned out to be that the diet cokes cost just as much as the burgers but nevermind – I guess we never expected it to be cheap. As it was the week after the grand prix much of the apparatus for the race was still setup. 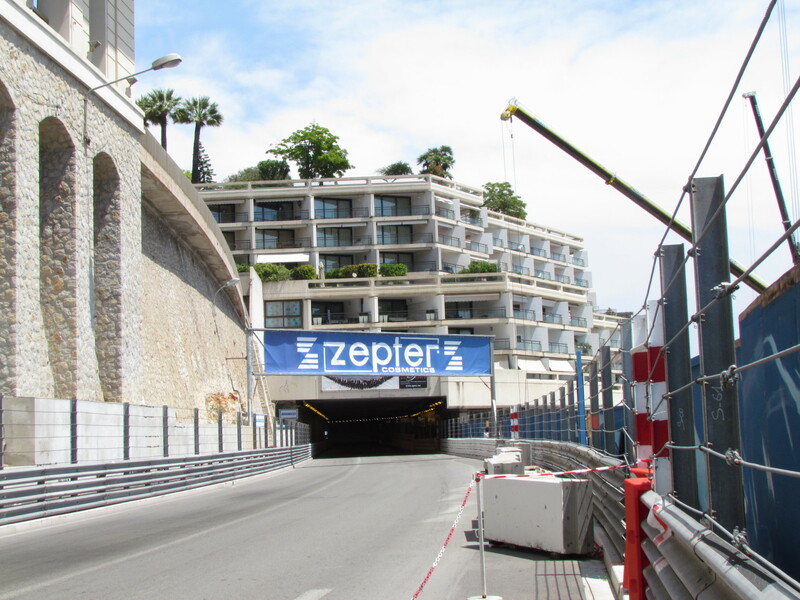 So we got to saunter through the pit lane, examining the tyre marks still showing clearly on the tarmac and the tyre walls stacked at the side of the harbour. Most of the barriers were still in place too with scuffs and marks from the cars kissing them as they hurtle through the corners right on the limit of the driver’s skill and the car’s tolerance. We walked the track some more up to the famous tunnel before taking the fantastic boat bus across the harbour for a single euro. 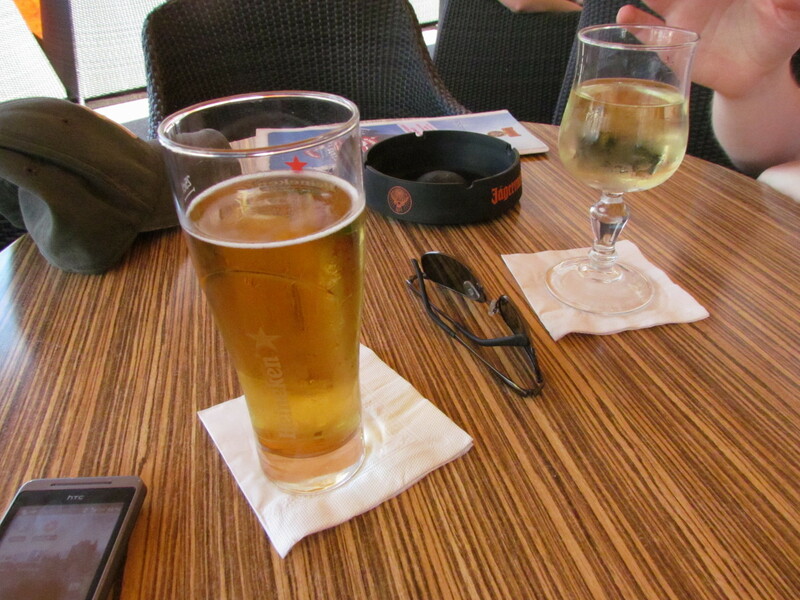 Once on the other side we decided we’d done enough walking and relaxed with a couple of drinks while we soaked up the atmosphere and admired the expensive cars and even more expensive boats that surrounded us. The earlier clouds were long gone and it was a glorious day. I was starting to get a little nervous though as I had something special planned now the weather had turned in our favour. Finishing our drinks we decided to take a walk up the hill to see the palace before heading back to Nice. We didn’t spend too long there, just enjoying a quick zip round the courtyard and a fantastic view over the city before we started wandering back down the hill. After we’d gone down the hill a wee bit we stopped for a rest and to admire the view. Really I’d spotted that there was no-one around us so we’d have a few moments peace and decided this would be the perfect place to ask Angela to marry me. Thankfully she said yes and was also pretty pleased with my choice of location! A marriage proposal wasn’t firmly planned before the holiday but I had decided if the right moment presented itself I’d finally get round to asking (I think Angela was beginning to think I wasn’t the marrying type). The two of us walked slowly back to the train with big stupid grins on our faces before boarding it back to Nice and the rest of our holiday. Awwwwwwwwww! Congratulations to you both! Wonderful! Sounds like you had a great time. Lots of good food and sights to see.